Here’s another great comp with 7 tracks of circuit bent fury! Maybe even a couple benders you have yet to hear! It’s a net-release curated by Tiger Claw Records. 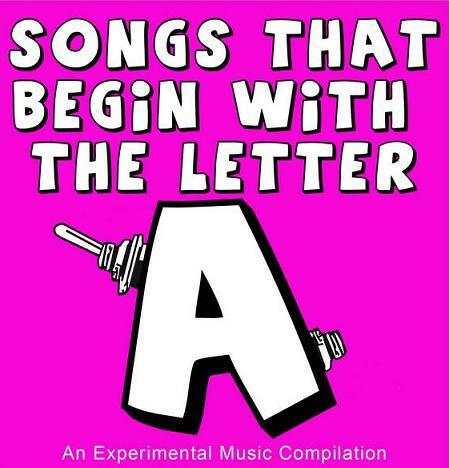 The theme here was to get the artist to create or supply a song that started with the letter A for it’s song title. It was a tough one because unless you had a song already written…to inspire a song just because it needed a tittle that started with A might have gotten in the way of true creative will. Never the less…I give you for your Free Music Friday listening pleasure a highly experimental album dubbed, Songs That Start With The Letter A.